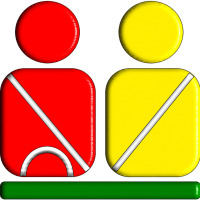 One of the UK's only driving school where all instructors have acheive a zero minors test result. 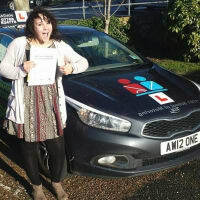 1TO1 is probably the most recognised driving schools on the Isle of Wight. Formed in 1987 we are one of the longest running schools in the area. We aim to be the best driving school on the Isle of Wight. We already have an exceptional pass rate and many of our pupils attain test success in less lessons than other schools saving you time and money. 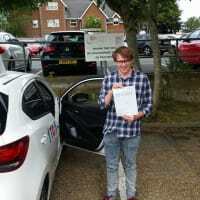 We are the driving school that brought you the test pass with zero faults, also the school that put through one of the youngest drivers in the UK with theory and practical test passed in just 22 days from their 17th birthday. We are also the only driving school offering the Supercar challenge rewards where you can earn the chance to drive a supercar round a track. No other school gives you more. Our Instructors are fully tested by the DVSA having passed the stringent tests imposed by the Driving Standards Agency and are fully CRB checked. Most of our work is from recommendations so call today to see why so many people would only use us. A really fun guy to learn with, helped me pass my theory + practical first time in only 23 lessons which is a £624 pound saving on the national average (hell yeah I worked it out!). He also doesn't push you out of the car when your hour is up, a couple of occasions I went 15 minutes over without him batting an eyelid! I learnt to drive last year with I instructor Adam. He was brilliant!! Friendly and understanding, never got frustrated if you where learning something at a slow pace. Also makes you feel straight at ease in the car with him. 1to1 are also the school my mum, dad, partner and partners brother learnt to drive with and currently my sister in law is learning and is doing brilliantly. Took just over 20 lessons and I wasn't a natural either!! Highly recommended!! !